Joint Base Lewis-McChord (JBLM) has two very active Protestant Women of the Chapel (PWOC) groups, which is a ministry that helps chaplains minister to women associated with the military. The groups are open to women of all the chapel communities on JBLM and from every denomination. The McChord Field PWOC celebrates 10 years of ministry in January 2019. "It is encouraging to celebrate a decade of ministry specifically designed for women associated with the military," explained Carri Fisher, PWOC McChord Field President. "Despite the transitory military lifestyle, PWOC has strong historical roots, and committed individuals in the JBLM community who have continued to help the ministry thrive." PWOC began in the 1950s in the chapels of the U.S. Army in Europe. According to Fisher, there are over 90 active PWOC groups that exist on U.S. Army, Air Force, Navy, Marines and Coast Guard installations around the world. "I first heard of PWOC when my family was stationed by the Army to Yongsan, Korea, in 2015," said Sara Sunada, a faithful McChord Field attendee. "Becoming a military family means constant new starts with each move, forcing adaptability and flexibility. The one thing that is always at every installation is PWOC, and there I know that I will find women wanting to build encouraging relationships based on Christ." The first PWOC in Western Washington started at Fort Lewis in the 1970s. "Today, approximately 90 ladies attend the weekly Lewis meetings on North Fort Lewis, 30 attend the weekly McChord Field meetings, and over 120 children are ministered to weekly through the Chapel Watch-care program," provided Fisher. PWOC McChord meets every Thursday morning at the Chapel Annex, Building 174, on McChord Field, located on the corner of Sixth St. SW and G Street, "If you or your spouse have served, or are currently serving in the military, we invite you to check us out," invited Fisher. "We have women attending who have served in the Army or Air Force. We have single 20-somethings, married with children, and retired with grandchildren. We are a diverse group of women who love Jesus and encouraging one another." PWOC Lewis meets every Tuesday morning at the North Fort Chapel, located at 11621 South Drive, Lewis North. "We welcome you to one of our three PWOC locations this semester," invited Lisa Winbolt, PWOC Lewis President. "Bring your kiddos, enjoy some coffee, breakfast, and time with other women. We have a variety of studies from marriage, to raising kids, learning more about the Bible, and following God. 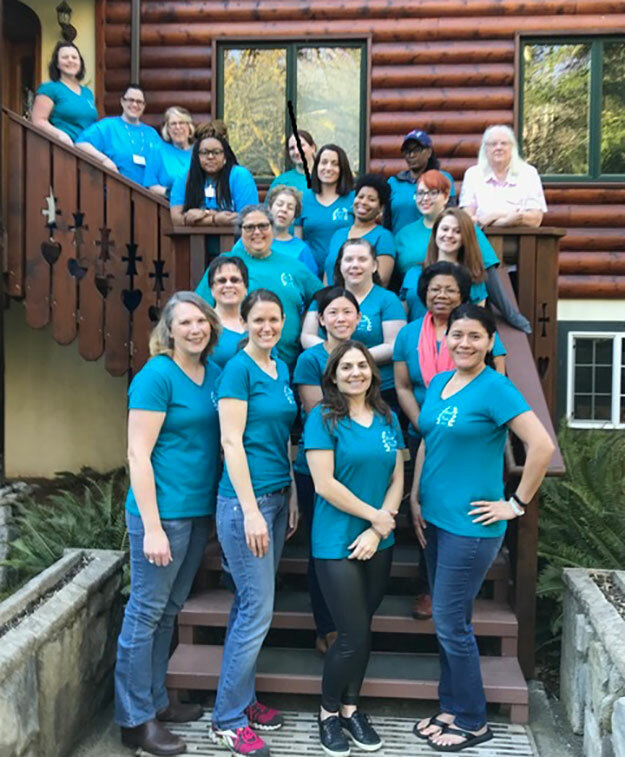 PWOC is a great place to connect with other women who get this military life and will support you through it." For more information about the McChord PWOC, call the McChord Chapel Support Center at 253.982.5556; for the Lewis PWOC, call the LMC Parish Coordinator at 253.967.4721.